New York state budget talks are heating up in Albany, and unless Gov. Andrew Cuomo’s 2018–2019 Executive Budget proposal gets adjusted, the state cigar tax rate will be going up later this year. Or more precisely, rolled back to its pre-2013 rate. Lawmakers in the Empire State are currently debating the minutiae of Cuomo’s $168.2 billion budget proposal, which attempts to mend a $4.4 billion shortfall. To close this budgetary gap, the governor has proposed a series of “revenue actions,” i.e., tax increases. Included in the nearly $1 billion in proposed tax increases is a revision of the state’s cigar structure. 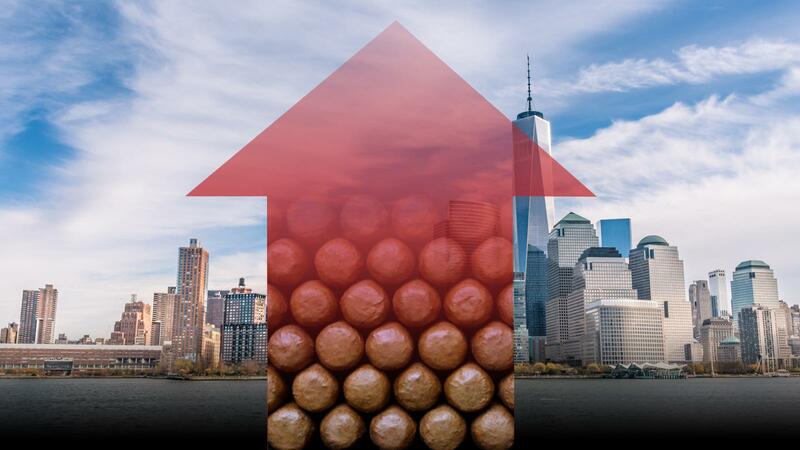 Officially, New York state’s tax rate is 75 percent of a cigar’s wholesale price. However, thanks to an “industry standard adjustment ratio” clause passed in December 2013, retailers have the option to calculate the wholesale price themselves if “an established price or manufacturer's invoice price is not available.” Using this formula, the tax rate effectively amounts to 28.5 percent. In Cuomo’s proposed budget, the governor seeks to end this adjustment ratio by changing the definition of “wholesale” price to the invoiced price for which a manufacturer or distributor sells tobacco products to a New York state registered tobacco distributor. In other words, Cuomo’s budget would roll back the New York state cigar tax to its pre-2013 rate of 75 percent. Under current New York state taxes, using the adjustment ratio, a $5 cigar with a $2.50 wholesale price carries a state excise tax of 71 cents; a $10 cigar ($5 wholesale) carries a $1.43 state excise tax and a $20 cigar ($10 wholesale) is taxed $2.85. Without the adjustment ratio, prices would shoot up dramatically. The $5 would carry a $1.88 state excise tax; the $10 cigar would be taxed $3.75; and the $20 cigar would be taxed $7.50. Cigar smokers would be looking at an additional $1.17 on a $5 cigar, and nearly $5 more in taxes on $20 smokes. For New York City cigar smokers, the loss of the industry standard adjustment ratio would be especially burdensome since the city passed its aggressive anti-tobacco tax scheme last year. Last August, the New York City Committee on Health passed bill number 1544-B, which introduced a citywide excise tax on cigars at the rate of 10 percent, before state and federal taxes. Lawmakers have not yet ratified Cuomo’s budget. Should the change go through as planned, it would effect on September 1. This article first appeared in the March 6, 2018 issue of Cigar Insider.